US President Donald Trump repeatedly raised the idea of invading a neighboring South American country last year, despite the objections of his aides, a new report says. In August 2017, Trump had a meeting in the Oval Office to discuss new sanctions against Venezuela and toward the end of the discussion the US president shocked his aides by asking why the US cannot simply invade the country. Trump proposed a military intervention on the pretext that Venezuela's political and economic crises presented a threat to the region. The aim of the invasion would have been the forced removal of Venezuelan President Nicholas Maduro. According to an Associated Press report, both National Security Adviser HR McMaster and then-US-Secretary-of-State Rex Tillerson were stunned by the suggestion. After the initial shock, the two aides went out of their way to explain to POTUS that this would be a very bad idea. They argued that a military intervention would alienate other Latin American nations who have long worked together to punish and ostracize Maduro. The aides did not convince Trump at the time, according to the report, as 45 pointed out that US invasions of Panama and Grenada during the 1980s were what the president considered to be big successes. The next day, Trump publicly announced — without first consulting his cabinet — that a military option for Venezuela was on the table. "We're all over the world and we have troops all over the world in places that are very very far away, Venezuela is not very far away and the people are suffering and dying. We have many options for Venezuela including a possible military option if necessary," he said, speaking from his New Jersey golf course at Bedminster. Caracas reacted by calling Trump's idea "supreme extremism" and "an act of craziness." Later, Trump discussed the idea with Colombian President Juan Manuel Santos in private. And later in September, Trump openly proposed the idea of invasion to a meeting of several Latin American leaders — Santos included — after a UN General Assembly summit. "My staff told me not to say this," Trump remarked, before asking the South American leaders if they are sure that military operation was unnecessary. Everyone at the table affirmed that they were sure that the United States should not invade Venezuela. The NSA's McMaster convinced Trump to let go of the idea, and 45's interest in it has now reportedly subsided. 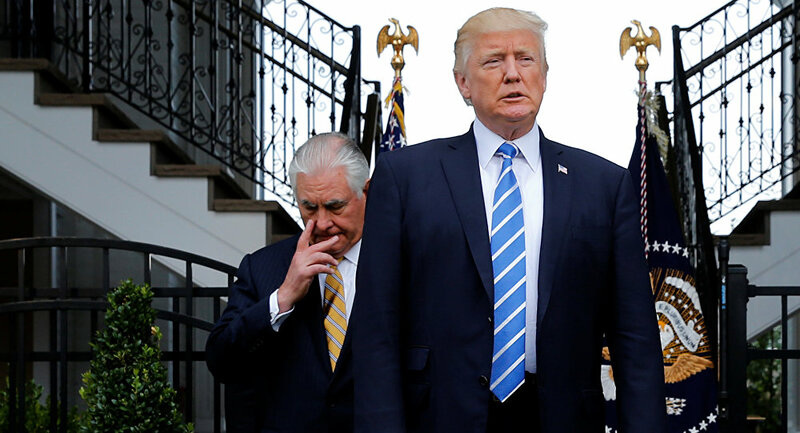 Both McMaster and Tillerson later left the president's cabinet. Between 1898 and 1994 the US has militarily intervened in Latin America at least 41 times, including direct interventions in Cuba, Guatemala and Panama, as well as providing indirect support for dictators in Chile and El Salvador, ThinkProgress notes. 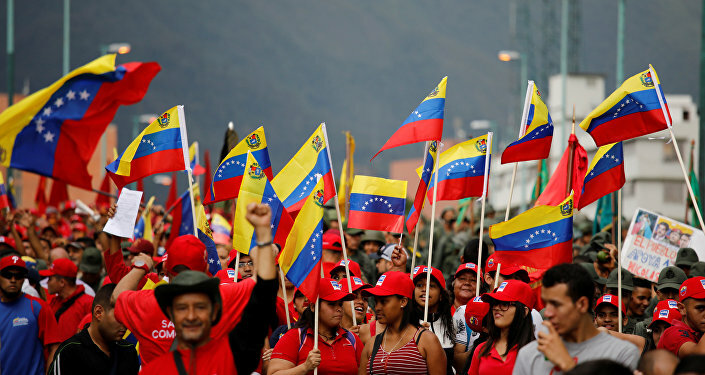 Unlike Panama and Grenada, if Trump had been allowed to attack Venezuela, he would have been faced with a country with a population roughly equal to that of Iraq; the former two countries combined comprise only 13 percent of Venezuela's total number.